Bundesliga | Record Bundesliga champions Bayern Munich: the best football club of all time? Record Bundesliga champions Bayern Munich: the best football club of all time? With a 27th title under their belts, Bayern Munich have underlined — as if they needed it — their dominance of the Bundesliga. 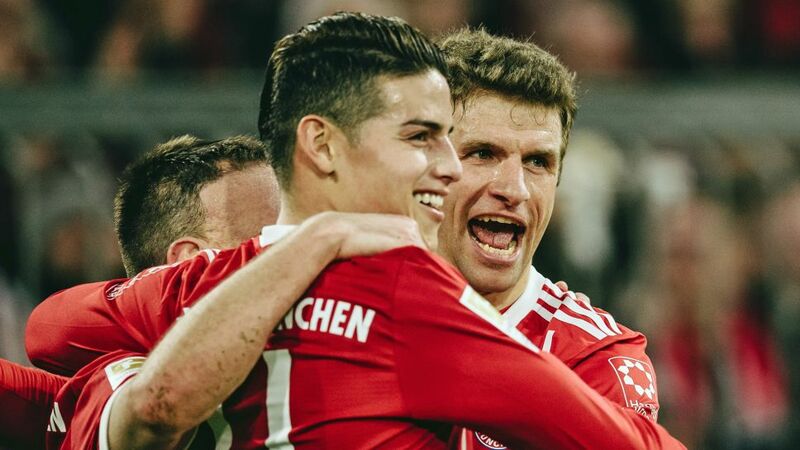 Bayern have been so successful that the bulging Allianz Arena trophy cabinet must be straining at the seams, with the Bavarian giants having loomed large over German football for most of the last four decades. Watch: Five things about Bayern's record 27 league titles! Even if they had won only the six successive Meisterschale they have claimed since 2013, they would still be Germany's most successful team. As it is, they have 22 more league titles than their nearest rivals, Borussias Mönchengladbach and Dortmund. Domestic dominance is one thing, but can Bayern claim to be the greatest club in the world? Taking the Bundesliga's first season - 1963/64 - as the starting point, bundesliga.com pits Bayern against the clubs that could challenge them for the place at the summit of the world game, and asks whether it is a case of Bayern über alles. The Italian giants have won 'just' 21 league titles since 1963, and 'only' eight Coppa Italia: Bayern have lifted the DFB Cup 17 times in that period. Two UEFA Cups and one Cup Winners' Cup win added to their brace of UEFA Champions League victories do not outweigh Bayern's five European crowns. Bayern would have had six European titles but for the dramatic turn of events at the Camp Nou in 1999. Like their German rivals, United enjoyed a period of hegemony presided over by Sir Alex Ferguson, but since his retirement, they have seen the likes of Chelsea and neighbours City ease past them in England's pecking order. Ole Gunnar Solskjaer's show-stopping winner in Catalonia gave United one of just three Champions League wins, and though Jose Mourinho's men won the UEFA Europa League last year, they still have 12 fewer league titles than Bayern since the start of the Bundesliga. Inspired by their Dutch trio of Ruud Gullit, Frank Rijkaard and Marco van Basten, Milan were Europe's and the world's top team in the late 80s and early 90s. Three of the six UEFA Champions League titles they have won since the start of the Bundesliga came in a magical five-year spell where no-one could touch them. They have also won one more Club World Cup/Intercontinental Cup than Bayern with four, but have only a lightweight ten scudetti since 1963.